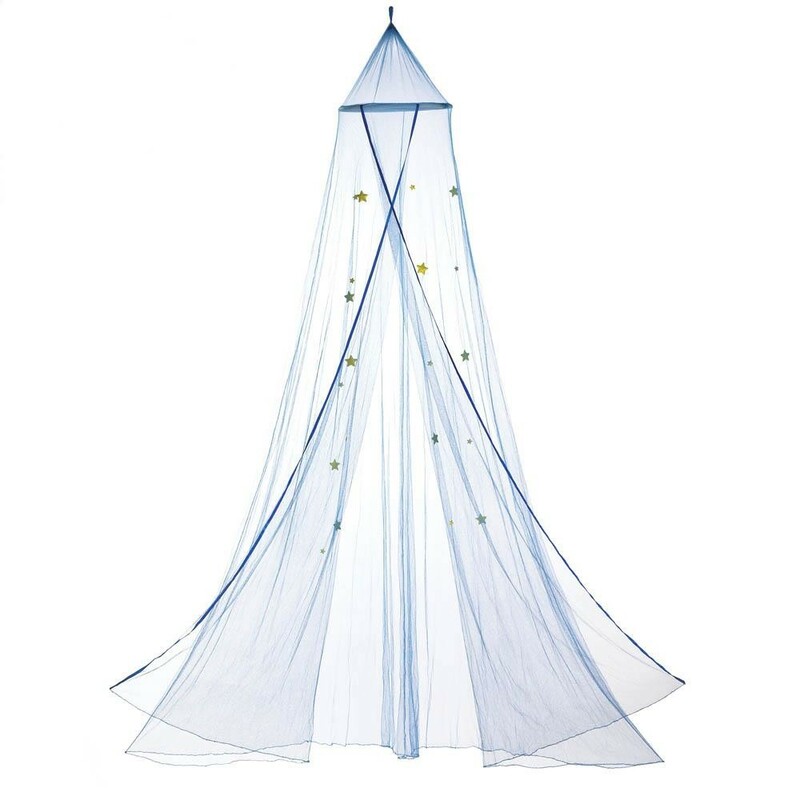 DISCOUNTED KIDS ITEMS - CLEARANCE ITEMS! 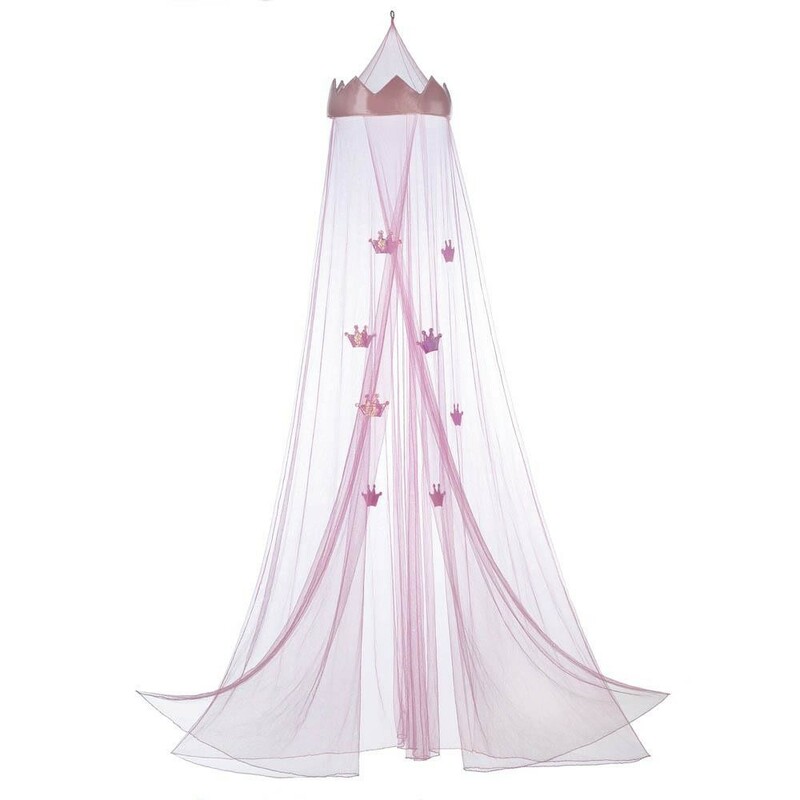 We have unique kids items, like carousel, turcks, kids dress Check more of our discounted kids items! 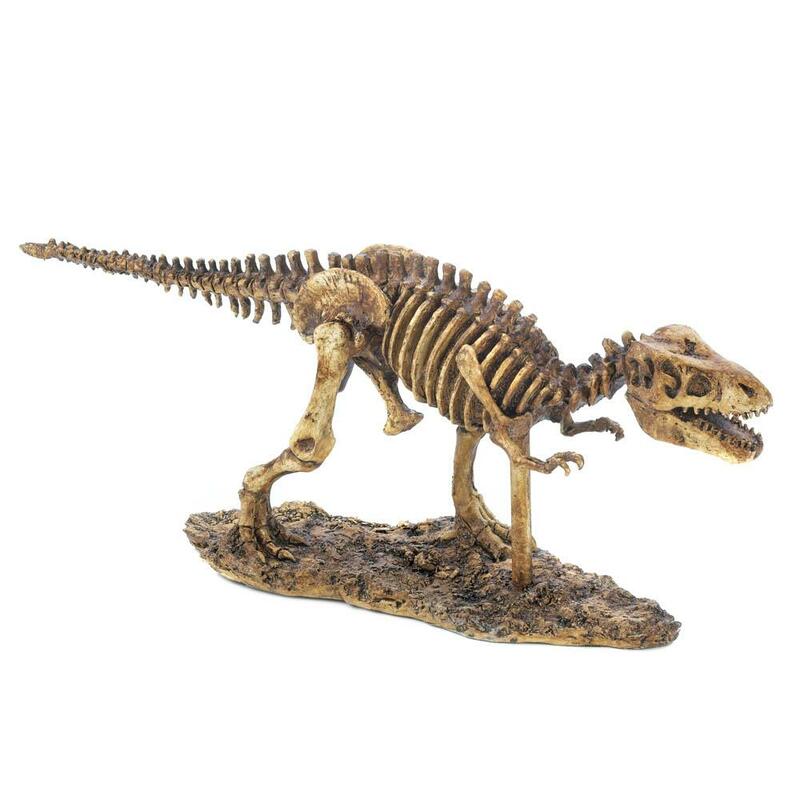 Put some bite into your decor with this detailed T-Rex skeleton statue thats a perfect fit for your desk or bookshelf. Made of polyresin, this scaled-down T-Rex is on the run and is sure to delight dinosaur fans and adventurous decor aficionados. 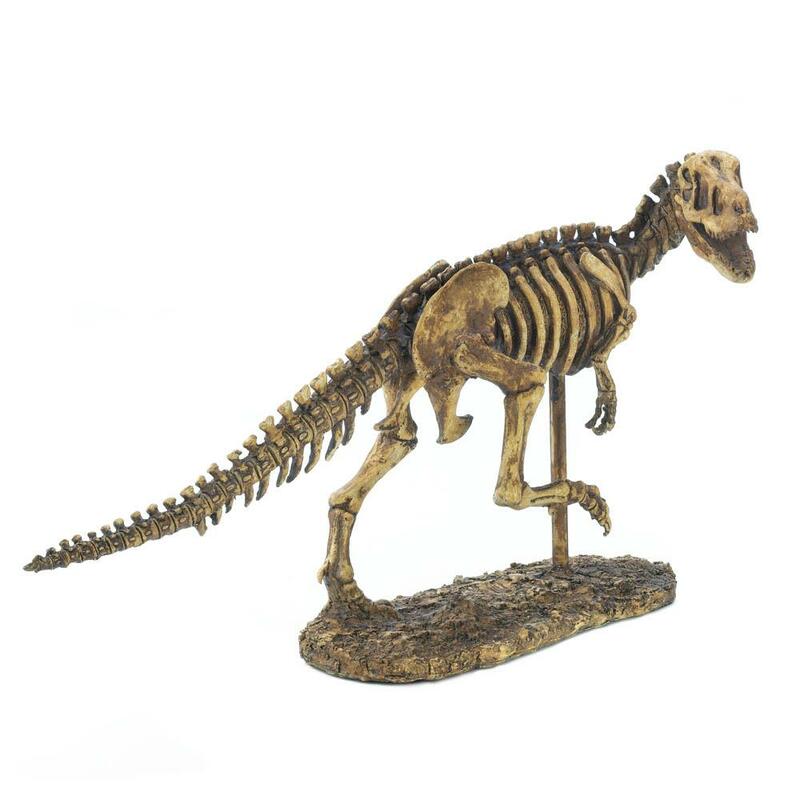 Decorate your desk or mantel with this detailed dinosaur skeleton that looks like it came directly from an archeological dig. Your prehistoric collector or dinosaur buff will be fascinated by the stunning features of this polyresin statue and its textured base. Captured mid-stride, this cool T-Rex dinosaur statue is a great accent for any collector. 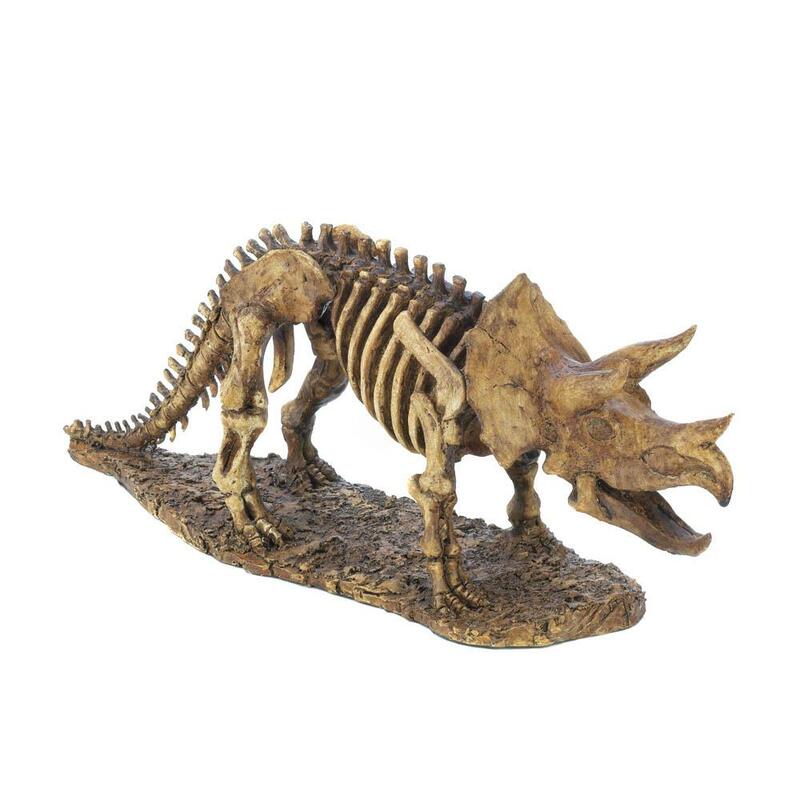 The finely detailed statue will be a prehistoric delight on your desk or mantel. A little prehistoric style will liven up any desktop or mantel! 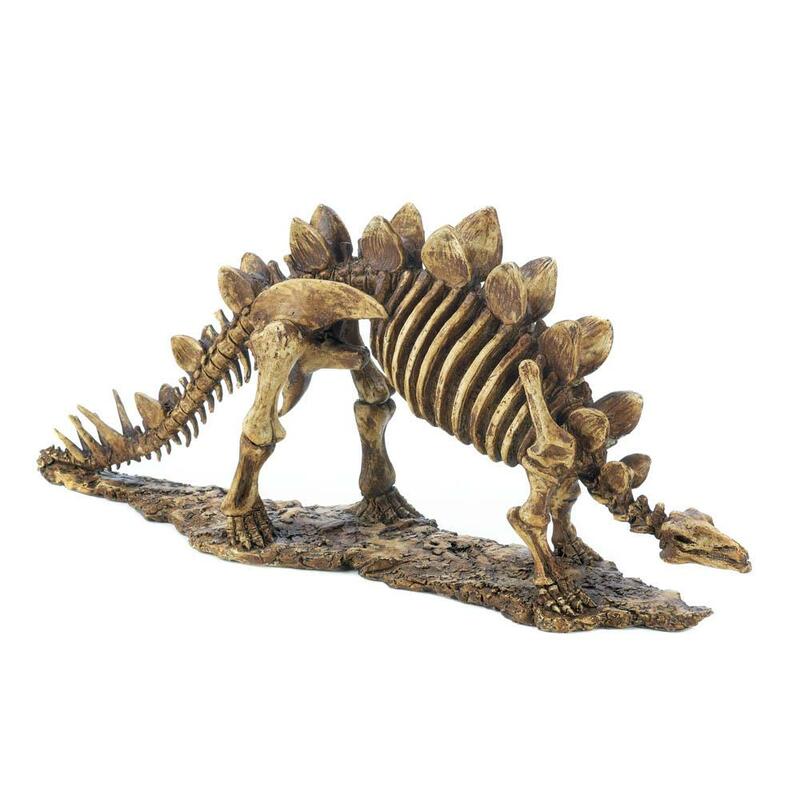 This finely detailed Stegosaurus skeleton statue will delight dinosaur aficionados and style seekers alike. Homer Simpson has one of the toughest decisions of his life to make. Which one will it be? 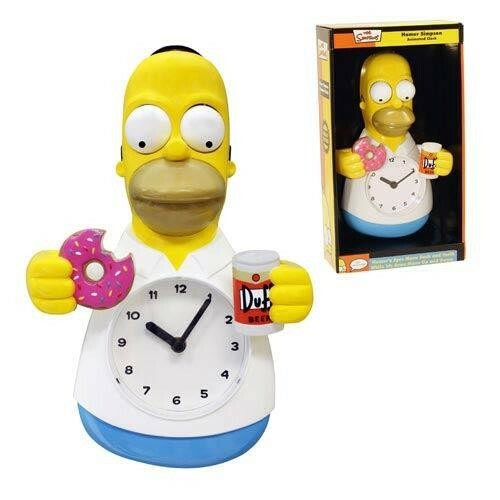 This Simpsons Homer Simpson Animated Clock features moving eyes and arms, as Homer attempts to choose between two of his favorite things-- donuts and beer! The working timepiece measures 11 1/4-inches tall x 8-inches wide x 3-inches deep. Choose this for your shopping cart! Add a dash of classic Star Trek to your wall. 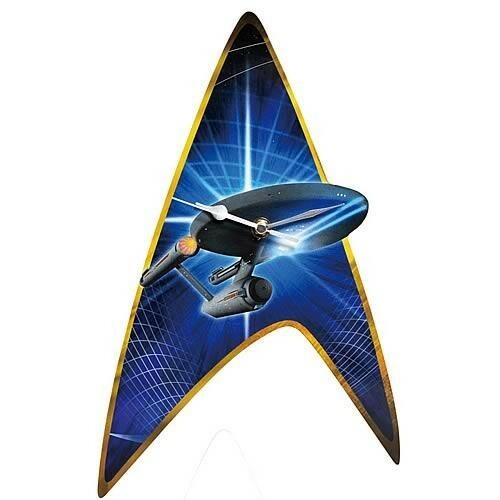 This Star Trek Classic Enterprise Wall Clock features the famous Star Trek Shield with the Enterprise ship on it. Measuring about 14-inches tall this wood wall clock will make the perfect addition to your wall. One 'AA' battery not included. 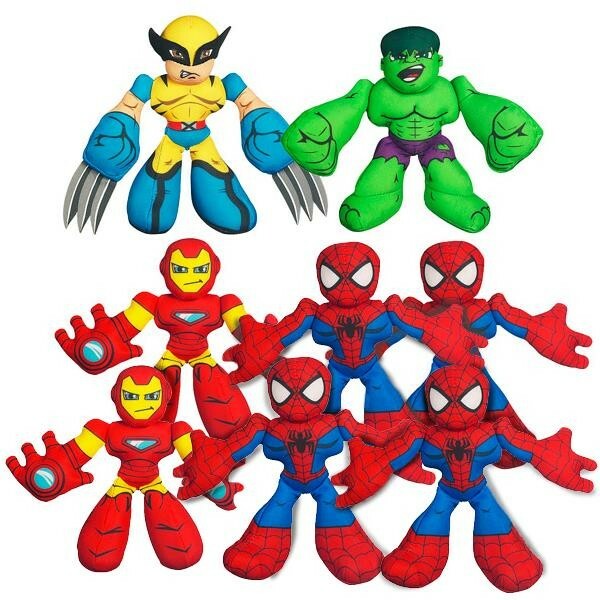 This Marvel Super Hero Squad contains ONE Wolverine Mini-Plush, ONE Hulk Mini-Plush, TWO Iron Man Mini-Plush, and FOUR Spider-Man Mini-Plush. Fun on the go! 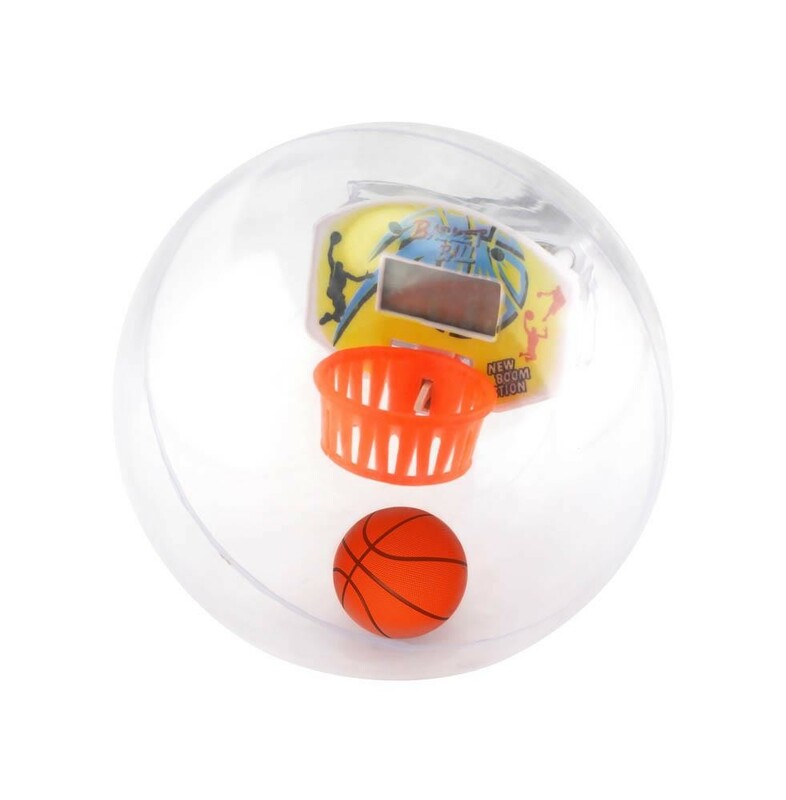 This handheld basketball game features a digital scoreboard and timed 30-second games that will keep young and old entertained for hours! Shoot some hoops on road trips, at the office or at home. Digital scoreboard. Timed 30 second game. 3 "AG13" batteries included. Take a break from your day and have a little fun with this mini 2-in-1 desktop game set. 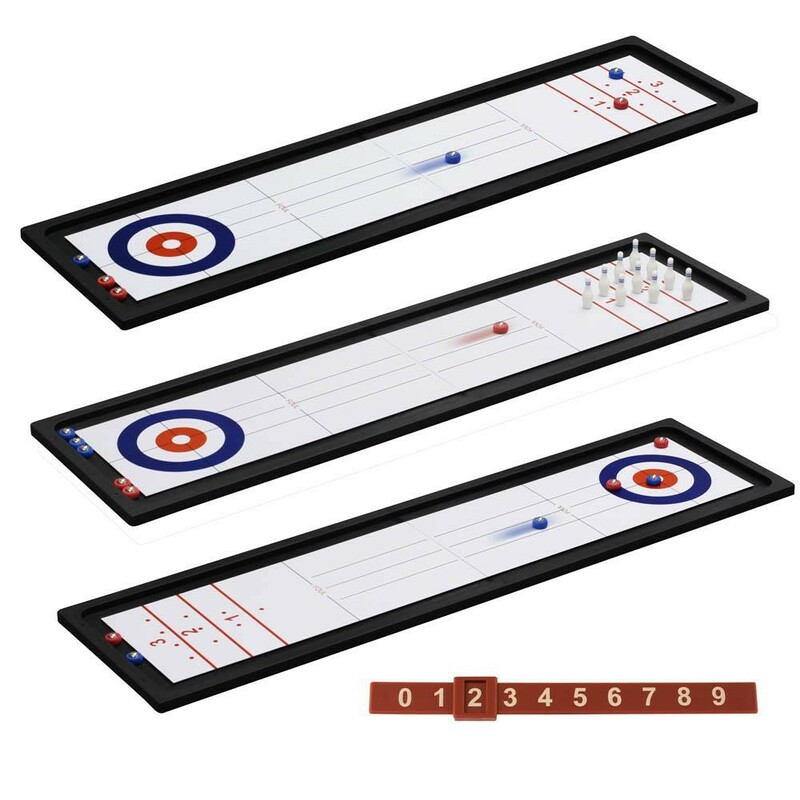 Whether shuffleboard or bowling is your idea of a good time, you can relax and enjoy yourself just about anywhere with this cool set. Includes 10 mini bowling pins, 6 mini shuffle pieces and 2 score boards. Straight out of The Walking Dead hit TV show on AMC comes this amazing wacky wobbler! 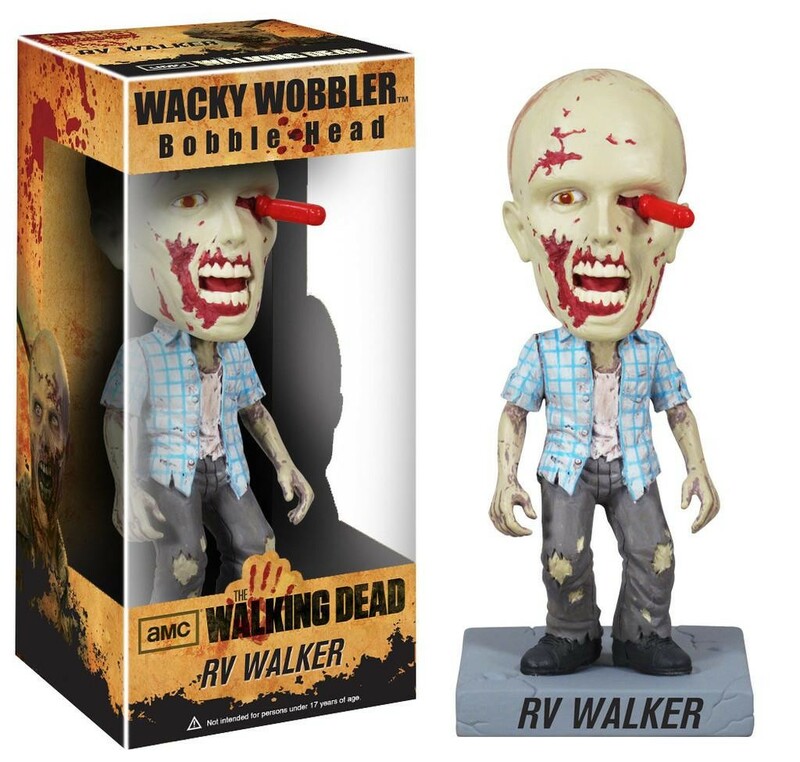 The Walking Dead RV Walker Zombie Bobble Head features the disturbing undead dude with a screwdriver in his eye as a detailed and wobbling bobble head. Measuring 7-inches tall, this is one amazing item for any fan of The Walking Dead series! Ages 17 and up. Dimensions 0" x 0" x 7"
Inspired by designer toys and stylized character collectibles the world over, Funko is back with Funko Force 2.0! 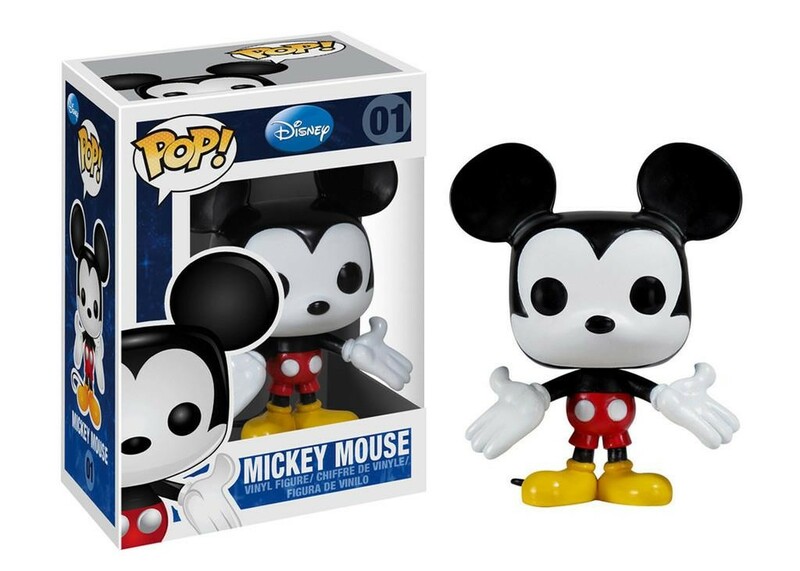 This adorable collectible figure comes packaged with a smile-- specifically, yours! 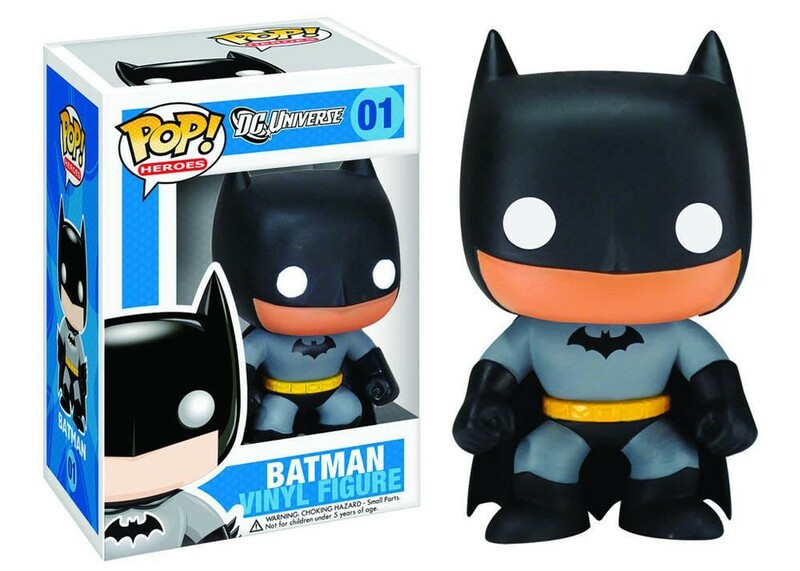 The unique design brings Funko's house style into the world of plastic figures, and we just know that Batman is going to look great on your desk. Ages 5 and up. PLEASE NOTE: The initial production run of this Batman figure may have a yellow circle around the bat symbol. Subsequent releases may not feature the symbol, and we cannot accept requests for specific styles at this time. Joker's main squeeze. 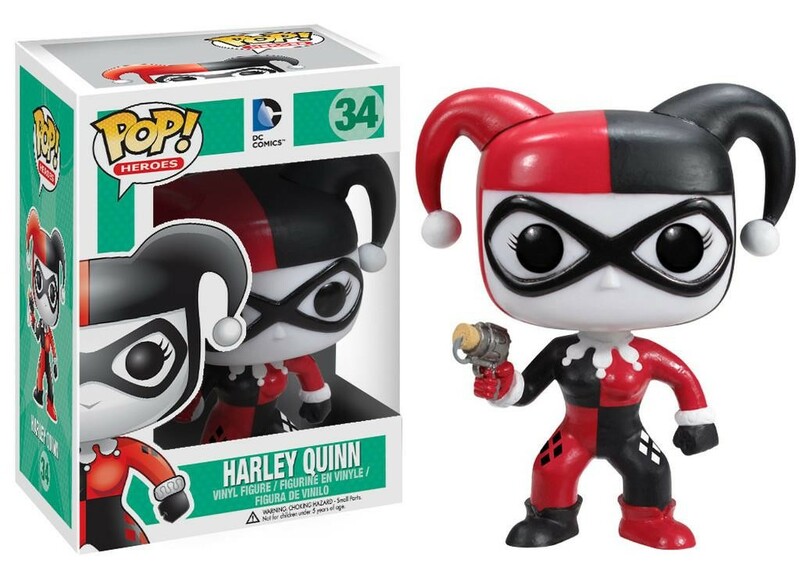 The self-proclaimed girlfriend of Batman's most maniacal nemesis is now a stylized Pop! Vinyl Figure! Ages 5 and up. Dimensions 0" x 0" x 3.75"
Presenting a new take on a classic villain, this unbelievable, 7-inch tall figure features a Venom as never seen before! 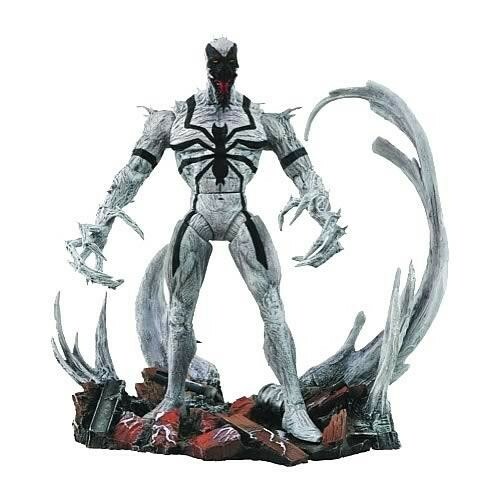 Fresh from the pages of the The Amazing Spider-Man comics, Anti-Venom is featured with a deluxe, symbiotic base and multiple points of articulation for the character's action figure debut making this Marvel Select release a surefire hit! Ages 8 and up. 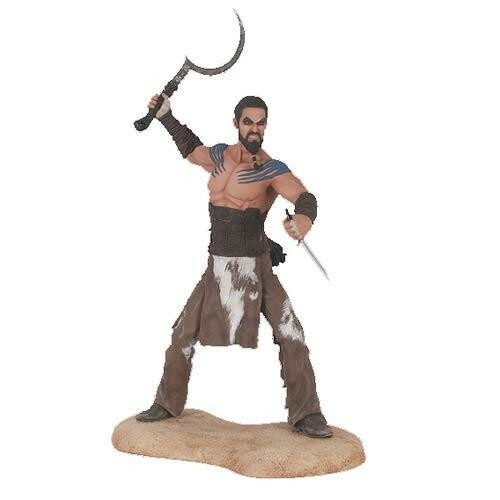 This Khal Drogo figure is non-articulated and comes packaged in a full-color window box. Khal Drogo stands about 8 1/2-inches tall and features him in a battle-ready pose with his weapons Ages 8 and up. 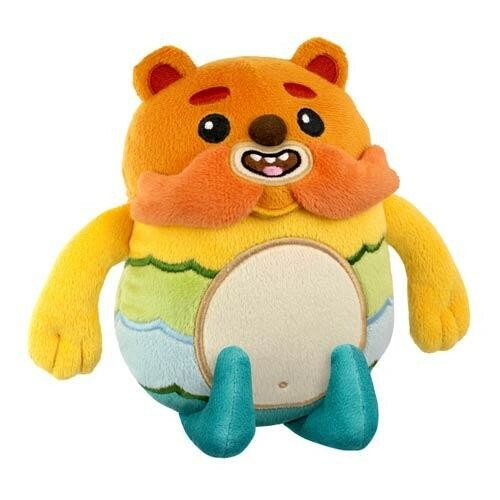 Dimensions 0" x 0" x 8.5"
The short of temper, rotund bear-like creature from Pen Ward's web series Bravest Warriors gets the deluxe plush treatment with the Bravest Warriors Impossibear 6-Inch Plush! True to the series, Impossibear features an orange/brown mustache and nearly enough colors to complete a full rainbow. The Impossibear plush measures 6-inches tall so he makes for great decoration no matter where you choose to display him. Ages 3 and up. Dimensions 0" x 0" x 6"
"Want a treat without the sweet? This Cupcake Tower set lets you create a beautiful stack of delicious-looking Play-Doh cupcakes! You can make one cupcake after another with the mold and then arrange your creations on the tower. Then use the tower's extruder and your 2 colours of Play-Doh Plus compound to ""frost"" them! Make Play-Doh bows, teddy bears and other decorations with the tower's molds for the finishing touches. 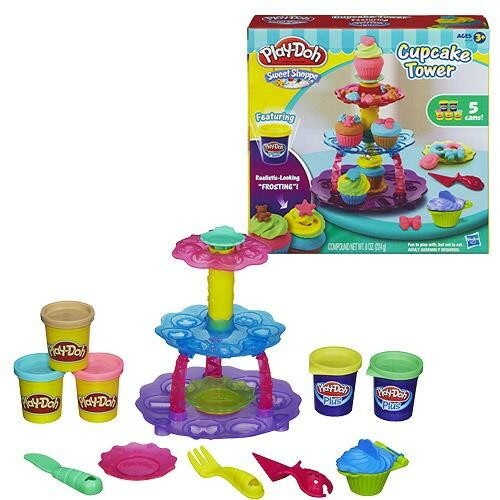 You'll be a cupcake ""baker"" extraordinaire with the Cupcake Tower set! Ages 3 and up. Set includes base dish, middle dish, top dish, 3 supports, extruder plunger, turntable, 2-piece cupcake mold, 2 plates, server, fork, knife, 3 cans of Play-Doh modeling compound and 2 cans of Play-Doh Plus compound. Not delicious. Do not eat. Let Spider-Man help keep the scary darkness at bay with this unique Spider-Man Nightlight. 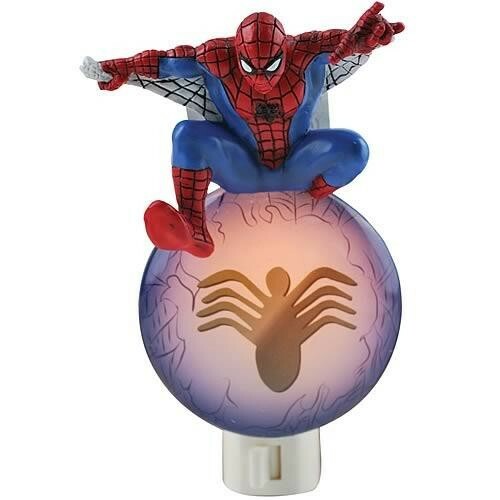 Featuring a small statue of Spider-Man atop the classic Spider-Man symbol from the original Amazing Spider-Man comic book, this nightlight is great for both collectors and people who fear the darkness. 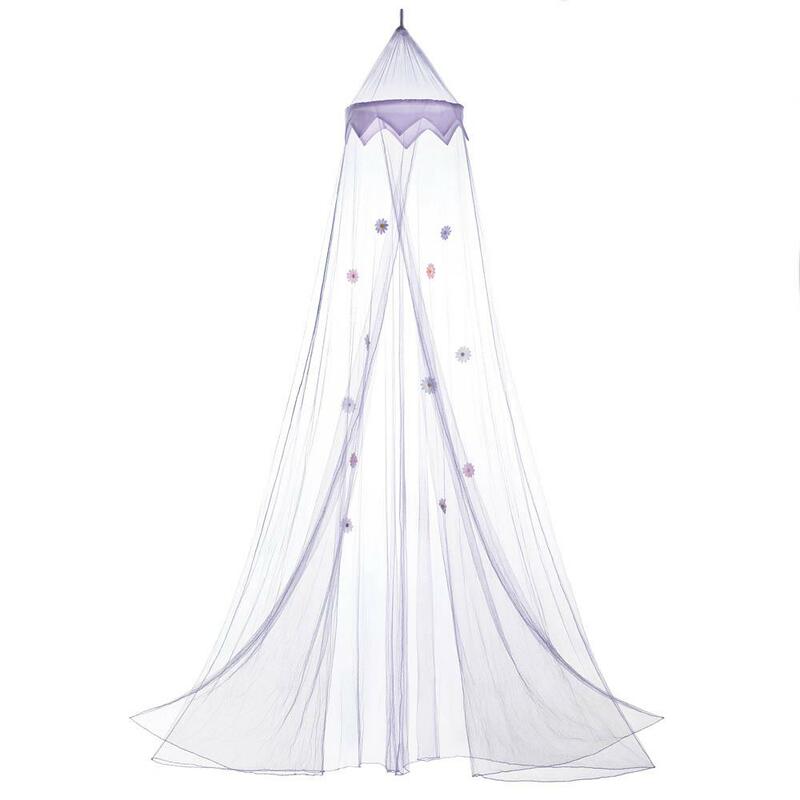 Buy yours today and never again be afraid of waking up in the middle of the night to use the restroom. 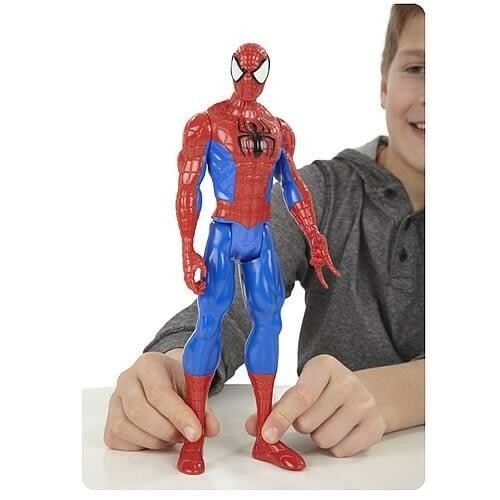 Super-size your super hero adventures with this incredible Titan Hero Series Ultimate Spider-Man figure! This 12-inch web-slinging dynamo is ready to open up a large-sized attack on the foes of justice everywhere. With him at your side, there's no telling where your adventures will take you! Ages 4 and up. Doctor Who and My Little Pony! What a wonderful mashup! Your favorite characters from the My Little Pony: Friendship is Magic animated television show get a vinyl figure treatment. 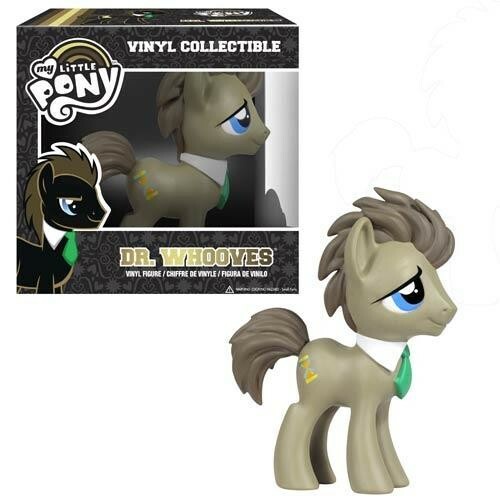 This My Little Pony Friendship is Magic Dr. Whooves Time Turner Vinyl Figure features the Earth pony as a 6-inch tall vinyl figure. Time Turner / Dr. Whooves looks great and would be an amazing addition to any My Little Pony: Friendship is Magic fan's collection! Ages 5 and up. Add some Iron Man flair to your keys! 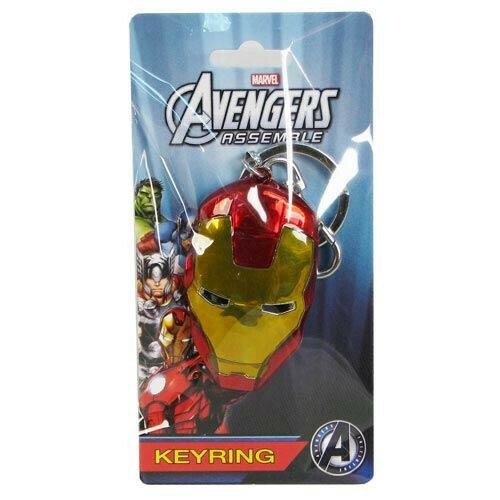 This Iron Man Face Colored Pewter Key Chain is the perfect thing for Iron Man fans. It features Iron Man's face / helmet in the classic orange and red colors! 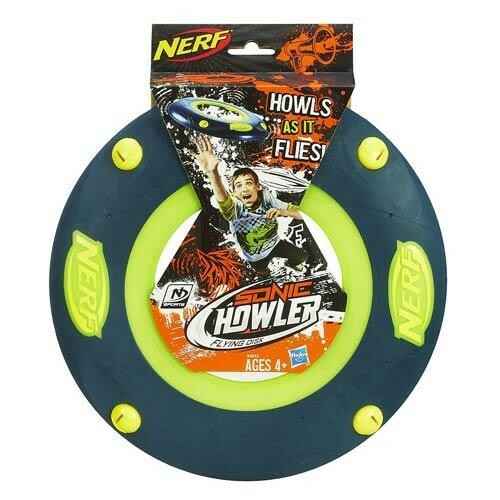 Dimensions 0" x 0" x 2.5"
The Nerf Sports Sonic Howler Flying Disk flys so fast it practically screams! Actualy, it howls. Nerf's new technology allows the disk to glide on air and let you know that it's coming - put up your hands and perk up your ears for any of a number of flying disk-based sports! There's Ultimate Frisbee, Frisbee Baseball, Hot Box, and many more - take it with you to the park and have yourself a great time! Bring the classic Marvel characters from your favorite comic series into any room in just seconds! 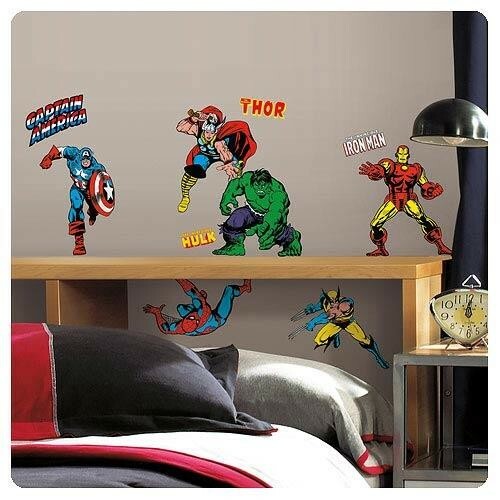 These high action wall decals of Spider-Man, Captain America, Thor, Wolverine, Iron Man, and more of your favorite superheroes will make any room more exciting. 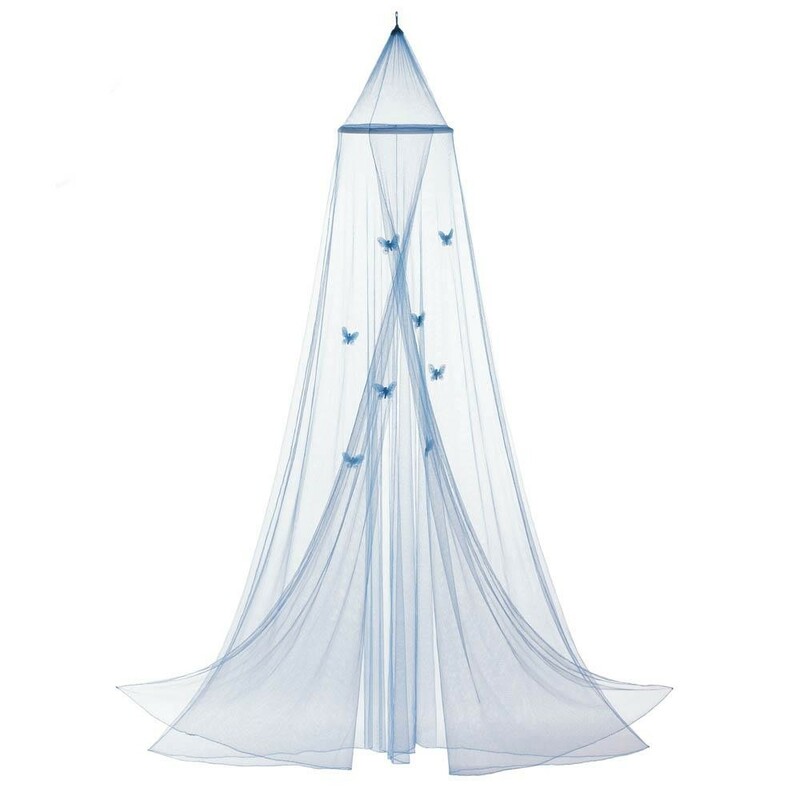 All of the wall decals are removable, repositionable, and reusable, and can be placed on any smooth surface. A great gift for comic book fans! Contains a total of 32 decals measuring between 4/5-inches tall x 3-inches wide and 9-inches tall x 7 1/2-inches wide. Dimensions 7.5" x 0" x 9"
Add some Spider-Man flair to your keys! 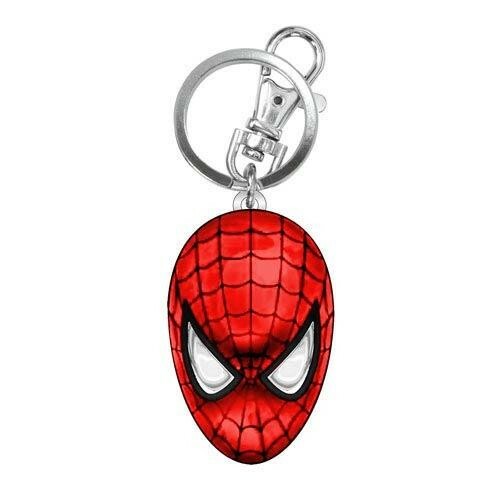 This Spider-Man Head Colored Pewter Key Chain is the perfect thing for Spider-Man fans. It features Spidey's face / mask colored in the classic red with black spider-web design! 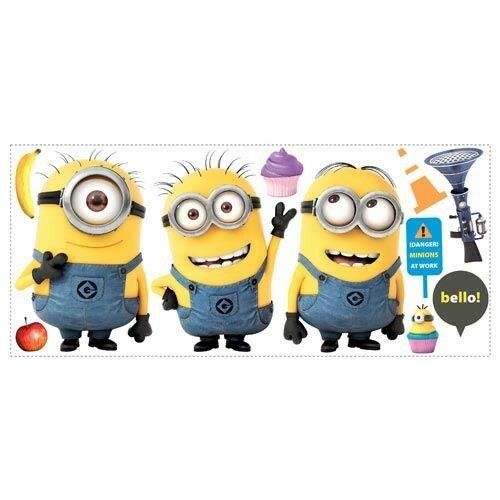 Dimensions 1.5" x 0.5" x 4"
Bring the cheeky Minions from Despicable Me 2 into any room with these giant wall decals! These removable and repositionable stickers are easy to apply, and can be placed on any smooth surface, from walls to doors. Stick them up together to create a fun and playful piece of Despicable Me 2 wall decor! 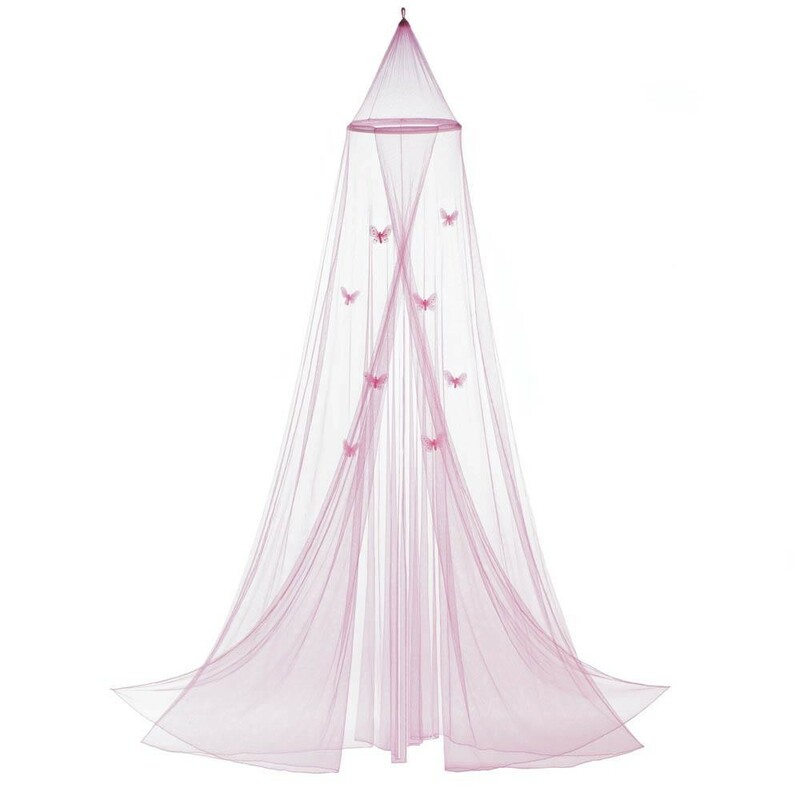 Includes a total number of 11 decals measuring 48 1/2-inches wide x 12-inches tall when complete. Dimensions 48.5" x 0" x 12"
10016049 - THANK YOU PLUSH BEAR. 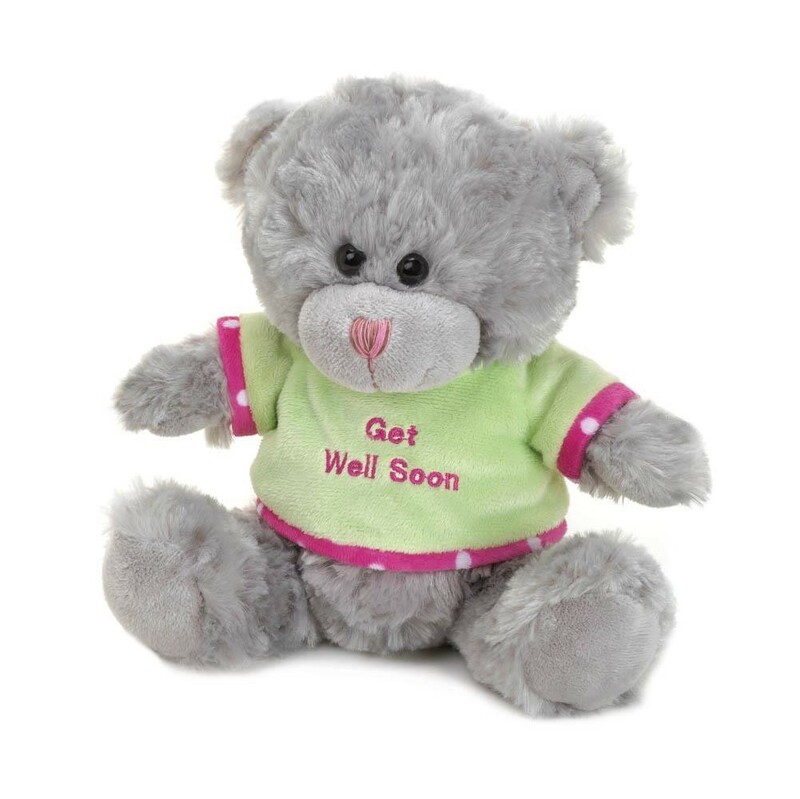 Give a "Thank you" that will be remembered fondly with help from this sweet little plush bear. Hes wearing a fleecy green top with pink trim and pink embroidery that reads "Thank You!" 10016048 - GET WELL SOON PLUSH BEAR. The road to recovery begins with cuddles and hugs from this sweet little bear. His fleecy mint green top has pink trim and pink embroidery that reads "Get Well Soon." His fuzzy gray fur and sweet face will make anyones day better! 10016046 - Show mom how much you care with this sweet plush bear. This little charmer has the softest gray fur and is wearing a fleecy pink top with "Worlds Best Mom" embroidered on it. 10016045 - Show your friend how very special they are to you with help from this fuzzy bear. With a pink fleecy top that has "Special Friend" embroidered on the front, it will be a token of your friendship that will inspire smiles for years to come. 10016044 - HAPPY BIRTHDAY PLUSH BEAR. Celebrate a special day with a special plush bear that will inspire smiles all year long! 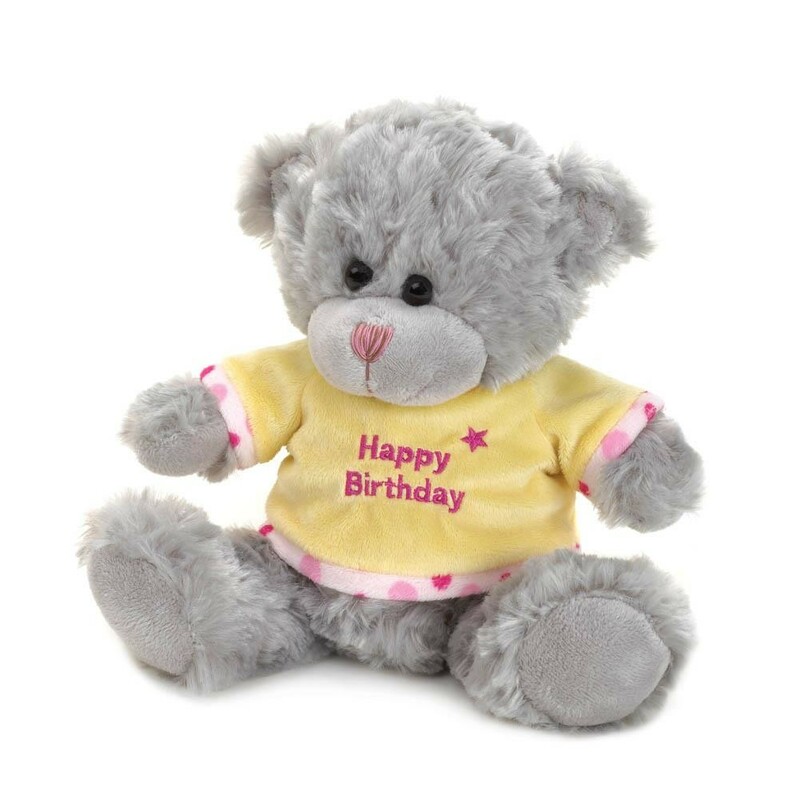 This adorable bear features a yellow fleecy top with pink trim and pink embroidery that reads "Happy Birthday." 10016043 - FUZZY BEIGE BEAR PLUSH. How can you resist that smiling face and soft fur? 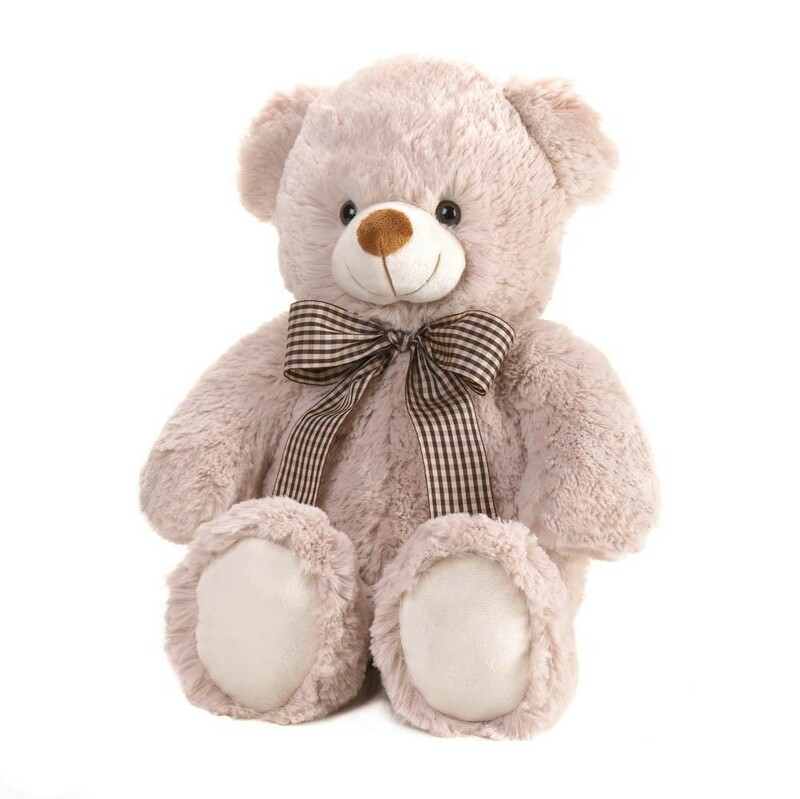 This adorable, cuddly beige teddy bear is outfitted with a big bow and is sure to warm your heart! 10016042 - With a sweet face and soft fur, this little bear is hard to resist! 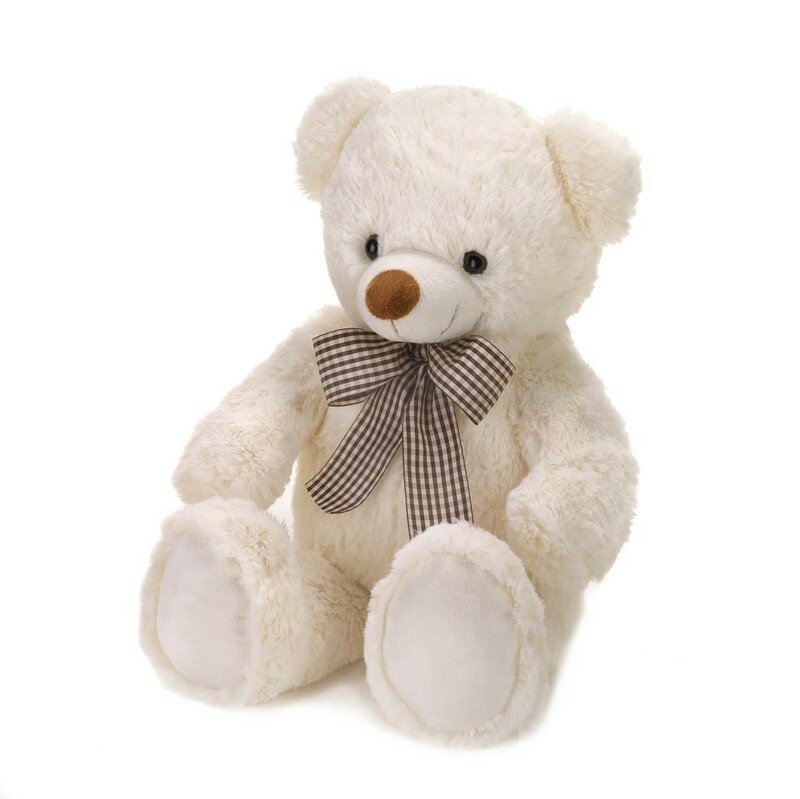 Give someone special this charming plush bear that encourages happy cuddles and smiling faces everywhere he goes. He has ivory fur and a chocolate brown gingham bow around his neck.